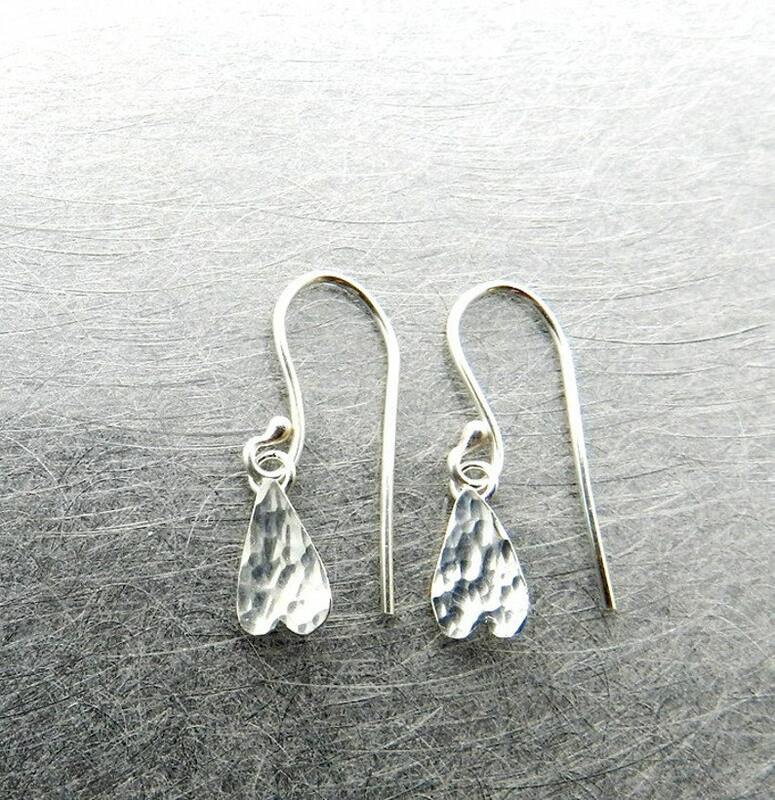 Dainty tiny heart drop earrings. These are adorable, understated and will add just a touch of sparkle as you move. The hearts are hand pierced from sterling silver sheet and hammer textured. They are paired with handmade ear wires, the length from top of the wire to bottom of the heart is 7/8".